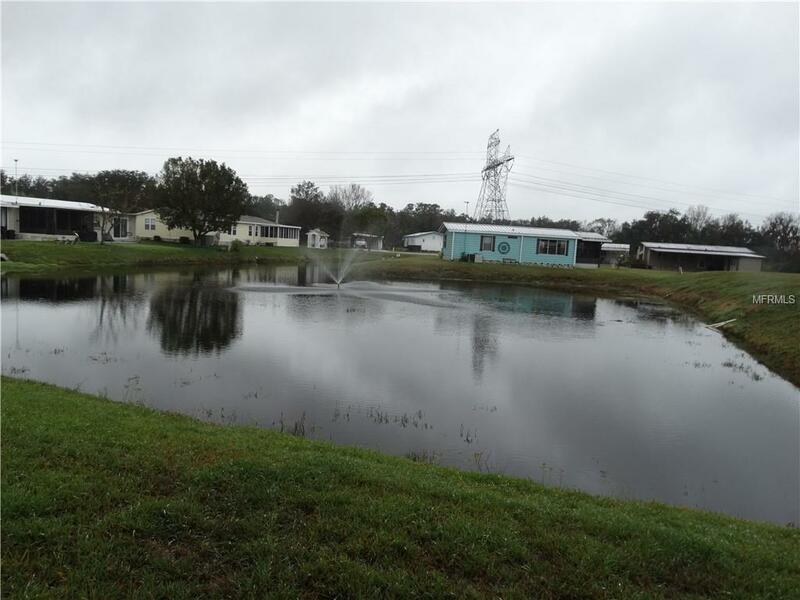 ENJOY WATER VIEW ON 2 SIDES of this MOSTLY FURNISHED home with beautiful fountains to give you a tranquil spot to call home in this gated golf community which is surrounded by amenities from The Villages communities. This gated community offers a Restaurant, tennis courts, Billiard hall, Clubhouse, fitness, craft hall, boat dock and more! Enjoy the new Everglades Recreation Complex within 2 miles. This home is in exceptional condition with new waterproof luxury vinyl floors throughout and carpet in bedrooms. The bank of windows along the entire front of the home allows plenty of natural lighting and an additional sitting room. New light fixtures and ceiling fans throughout and a built in China cabinet in the dining room. 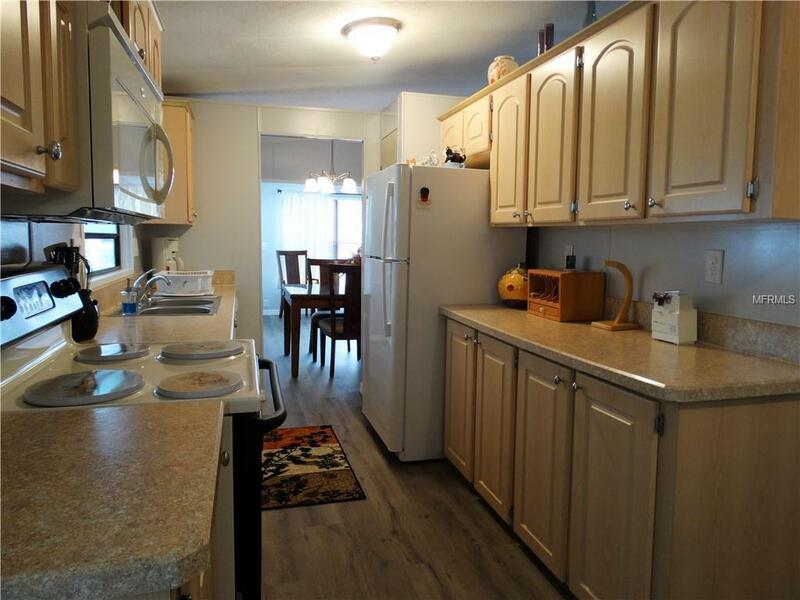 Newer kitchen with Bosch dishwasher (2 yrs old), GE Refrigerator (1 yr old), GE and Whirlpool Range and Microwave. New vanities, mirrors and fixtures in both baths. Living room and both bedroom windows replaced (Summer 2018) with double insulated tilt out windows. 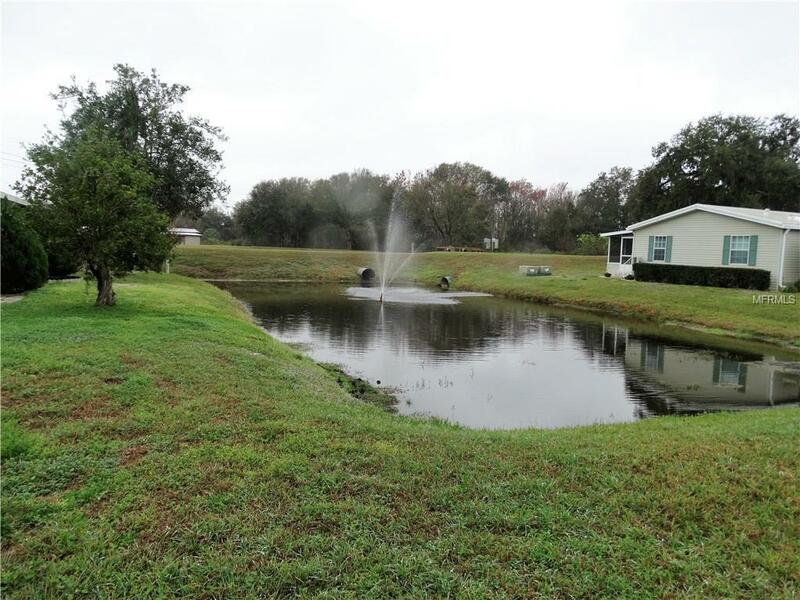 The oversized utility shed has a workbench, washer/dryer and double doors for golf cart storage and 2 screen porches allow you optimal view and enjoyment of the ponds and fountains on both sides of this home. RESIDENT OWNER CERTIFICATE will convey to keep HOA fees low. 5 yr Termite bond purchased in 2016. This home comes with all pots, pans, linens, most furniture on site and all appliances.